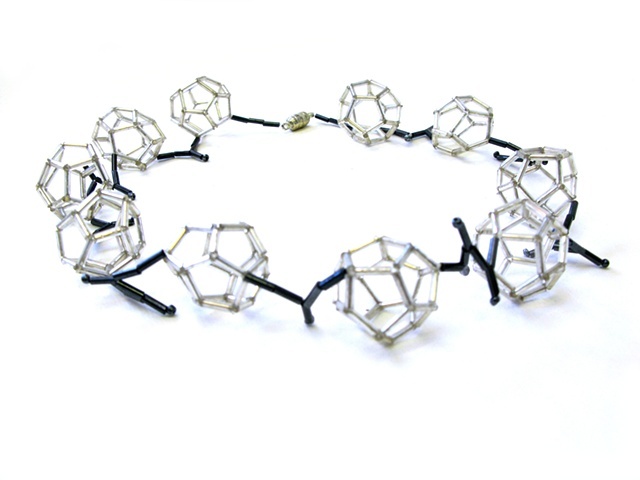 Based on organic, light and structural shapes, this necklace is made from silver and black 6 mm glass bugle and seed beads. The amorphous geometric shapes are dodecahedrons, which are believed to represents an idealized form of Divine thought. The black links represent coral branches. The necklace is clipped at the back with a magnetic clasp.